I rode my horse to the fork, changed my outfit from the all-black ensemble I’d been seen in to a summer shirt, covered my mouth with a bandanna, and settled in to wait. I was excited. 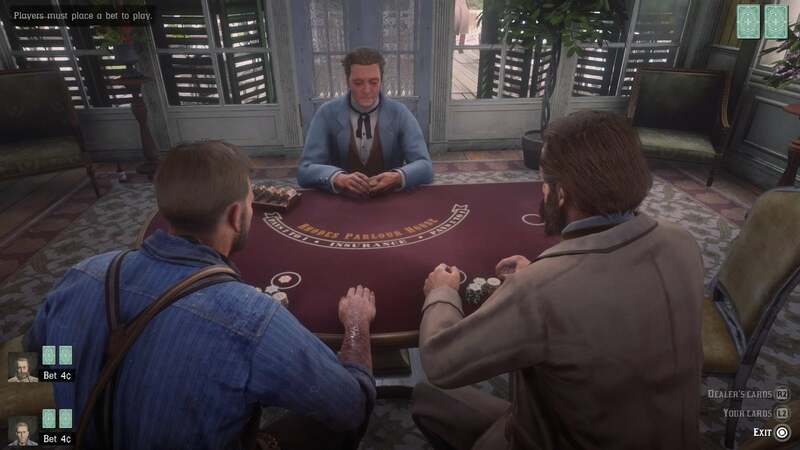 While my good guy playthrough had kept me mostly on the right side of the law, which helped me avoid bounties and rack up more money to lose in gambling games, it was fun to briefly try to be an outlaw. I was proud of my choice of location and eager to see how an unscripted crime would play out. I quaffed some food and snake oil to top up all my meters. I imagined how slickly I would be on and off the train and how happy folks back at camp would be with my riches. A prompt appeared on my screen telling me I could control the train if I took out the engineer. I leapt clumsily from rooftop to rooftop. 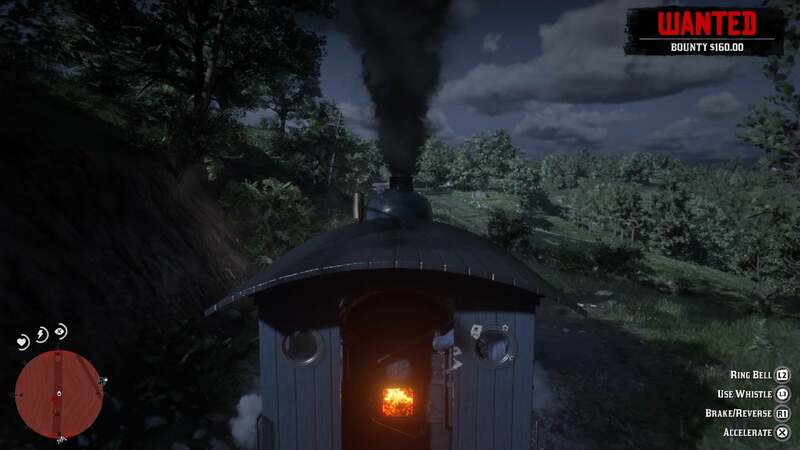 The train must have had guards, because the law was already firing at me as I made my way to the front. We exchanged fire. I killed the engineer with my pistol and manoeuvred myself into the driver’s seat. Prompts appeared to ring the bell, blow the train whistle, and change speed. Progress! I then realised I still had no idea what to do, and also I was now the train. This time I jumped on the back of the train and neatly took out the guard stationed there. 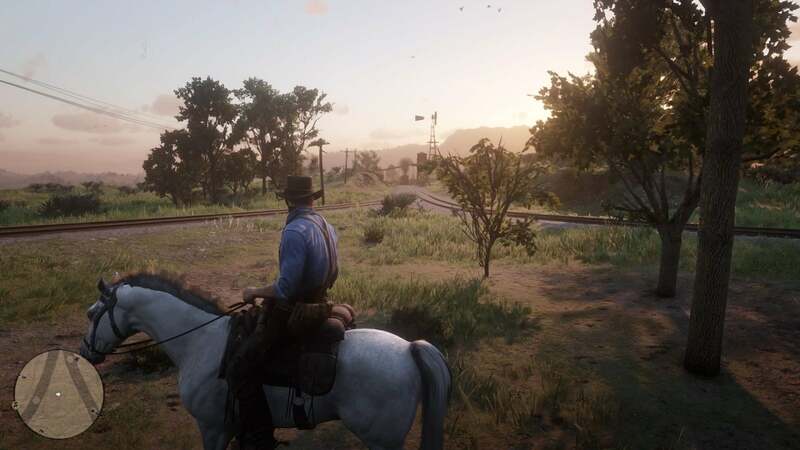 I moved from car to car, digging through boxes and drawers, getting stuck on everything in Arthur’s way, making sure to call to my horse all the while so it would keep galloping next to the moving train. I shot passengers and looted them rather than bothering to stick them up. The train’s progress kept the law at a distance, but it also brought us closer and closer to Rhodes. 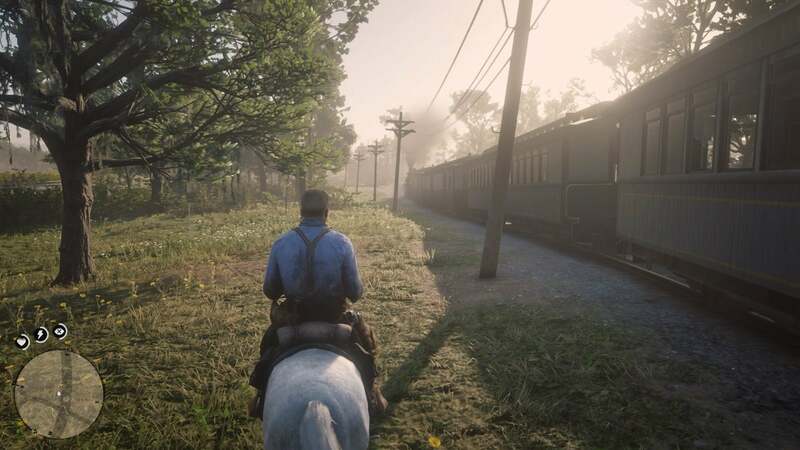 I figured I would make my way to the front of the train and then just jump off, but when I got there we were going a bit too fast to make a safe dismount. I shot the engineer and took control again, slowing the train enough to leap free with only a bit of damage. 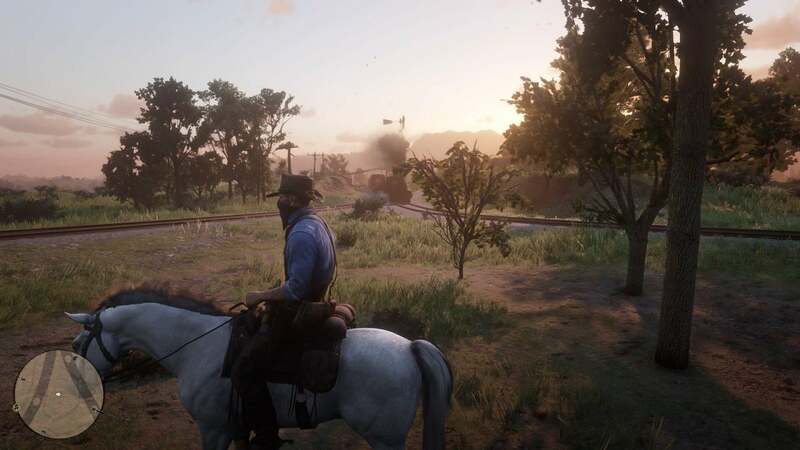 I jumped on my horse and thundered away, pleased to see my bounty was only 25 dollars. In my panic, I hadn’t managed to actually steal that much stuff from the train, but it wasn’t entirely a loss. I rode to the Rhodes post office and paid the fines to clear my name. Then I went to the saloon to blow my meagre earnings on blackjack. If anyone was concerned about how bloody Arthur was, they didn’t mention it. After everything I’d been through, that was fine with me.